My cousin, Cory, invited us to celebrate the Feast of St. John the Baptist in her home town of Cavite City (22 miles southwest of Manila). It has been a while since I have seen her, so her invitation was very timely. St. John the Baptist is the patron saint of the city of Cavite, aside from Manila and San Juan cities, but in Cavite they celebrate it differently. In Cavite City, they parade the statue of St. John in the streets (locally known as “karakul”) and residents would come out to meet the statue. Water is very much part of the ritual. 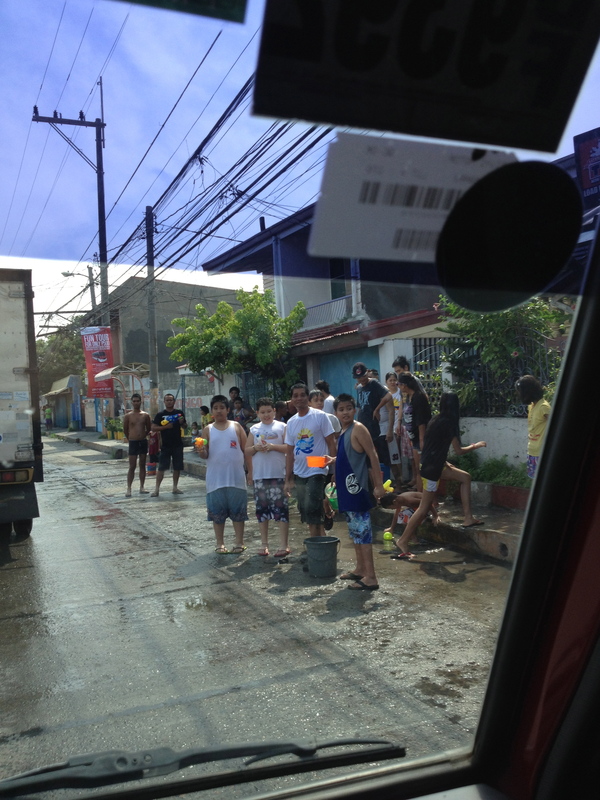 The streets are lined up with kids (and adults) with pales and buckets of water to throw at vehicles and passers-by. Everybody is wet and having a good time. It reminded me of my childhood and the simplicity of life in the provinces. Not to be out done, my cousin has barrels of water you can get from, a hose and water guns aimed at people, vehicles, and stray dogs. We did not have any change of clothes, so I was firing away from the safety of a fence. Splash…splash…squirt…squirt, and hide. Like a kid I was having fun courtesy of St. John. As you can see, rituals and traditions are very much part of everyday life in the Philippines. Religion, especially Catholicism, is very much ingrained here. Like going on pilgrimages. Sometimes I am overwhelmed by the blessings and opportunities that I receive. One such moment is our unscheduled trip to Lucban, Quezon (72 miles southeast of Manila), where the shrine of Kamay ni Jesus is located. The place was founded by Fr. Joey Faller, a healing priest, in 2005 and since then many Catholics have made their way to the shrine to seek out the healing powers of Fr. Faller. I know back in the US we have faith healers, but here in the Philippines—where every other sentence spoken would include some reference to God and His blessings—you are immersed in religion. Jesus, God, Saints, Virgin Mary, etc. is represented everywhere from names of town, streets, taxis, etc., to home altars, rosaries dangling in cars, bracelet rosaries, and curse words. You would think that Jesus (and Judas) were Filipinos. Filipinos have come to put all their faith in God. This implicit trust in God would at times extend to as basic as praying for food and good fortune. God will provide, all you have to do is pray. So people would pray (like my mom), go to church everyday (like my mom), and pray more (and yes…like my mom). My faith in God is always tested here in the Philippines. I should be more closer to God for He has brought me back from the brink of death. I should do many other things to pay homage to God like those devotees here. In my own way I am. I may not have self-inflicted whipping scars in my back to show penitence but I am very thankful to have reached this far in my fight with cancer. I am here in Manila to visit family and it is because of Him. I no longer question what is given to me; I just say thank you. Thus, when the Lucban trip presented itself, I just went not knowing what to expect. In Lucban, pilgrims come to find healing, peace, and if your faith is strong enough: miracles. My private miracle was being blessed by Fr. Faller himself. 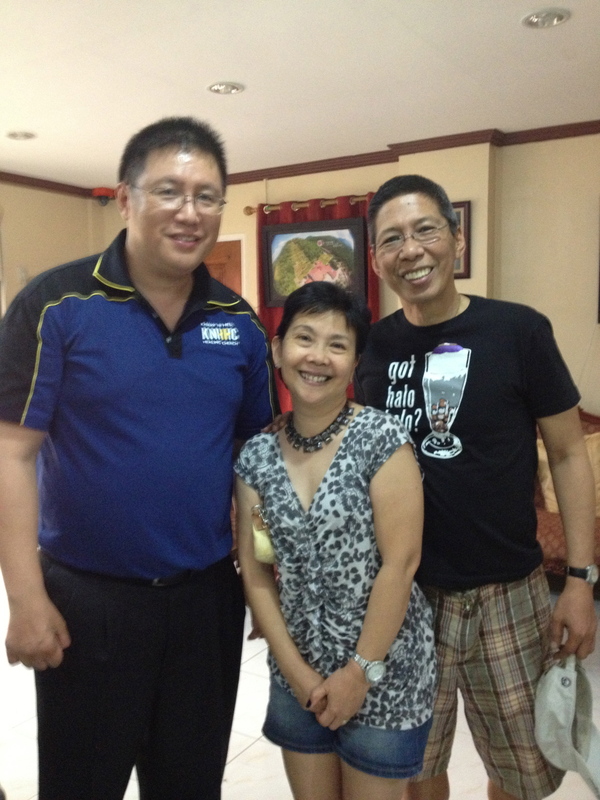 I expect very little from this unplanned visit, instead we ended up having a private audience with Fr. Faller himself. My wife asked the receptionist if we can see Fr. Faller since we have come very far just to be touched by his healing power. My wife’s faith is so strong she would do anything to get rid of my cancer. Her prayers were answered. Fr. Faller came out and led us (my wife, sister-in-law Queenie, and I) to his private chapel. With his hand on my head, he prayed for my healing. I felt his sincerity in the purging prayers he said. Is just my imagination but I felt a surge of energy go through my body. There was warmth and prickly needle sensation where his hand meets my head, like an electric current. He orders my cancer to go back to where they came from and leave my scared body. He claimed that I am free of my disease in confident tones; after which, he left us in peace with our thoughts in the chapel. Peace. Serenity. Balance. Like a lost soul I didn’t know how to feel. I am glad I went to the shrine but I tempered my expectation if I am deserving of a miracle. Many pilgrims have come to this place in search of relief, peace, and healing. I am no different from the rest. What comes next is the same uncertain feeling i get: Have I done enough or worthy of a miracle cure?. For now, thy will be done. Yesterday was Father’s Day. My day started with an early morning five-mile run with my wife. It is one of those things (running) that I like to get out of the way first. There are times when I don’t feel like going. I know that waking up at 5:30 am to run is not exactly an exciting activity. But then if I don’t exercise I feel guilty. My body has been good to me: it took a lot of beating from surgeries to endless chemo sessions. It allowed me to complete marathons in between sessions or just be around for precious moments with family, friends, and you. So if I don’t pay homage to my body I feel guilty. Yesterday also was the first time that we broke the five-mile barrier. It was a confidence builder leading up to a half-marathon this August. My Father’s Day celebration was capped off with a barbecue with the family. Oh, I got some gifts too which was cool. This Thursday, I leave for Manila for a short visit. My oncologist had cleared me to go when I saw him last week. He said that I look fit and tan (Doc, I am asian and brown-skinned, remember?). I do feel good and looking forward to see my family back home. It is one of those opportunities that I just have to make the most of it. The lessons I have learned on the value of life has made me appreciate all the blessing that I have. I enjoy each day that is given to me. What makes it special is how and who I spend it with. P.S. Some friends were asking about Ethan. 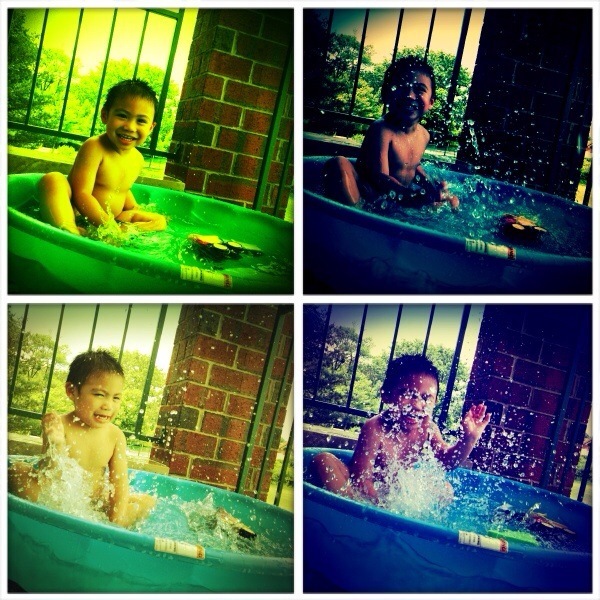 He is busy enjoying the summer and too busy to write blogs…hehe. Swimming in my private pool on Father’s Day. I was in my dentist office recently having my teeth cleaned. As Tamara was cleaning my teeth all sorts of things were going through my head. For one, I did not even flinch when she started cleaning a sensitive part of my teeth. Pain has become my friend. I have gone to the deepest part of my ability to tolerate pain for the sake of living, I no longer make a big deal out of it. Sure there is discomfort but it is nothing compared to not having a chance to live again. In fact, I am more aware of my surroundings lately, I even the crispy crackling sound of the dental suction removing water from my mouth. The air is fresher to me, the grass weed and pollen still wreak havoc to my sinuses but they just remind me of summer is here. Yes, I will enjoy this summer. I still have one more chemo treatment to do (June 4) and then I will have a two-month break. Two months of no doctors, no treatments, no hospitals. I am sure other if given a break will plan for travel and relaxation, not for me. I plan is to use my two-month break to train for a half-marathon in August 10. 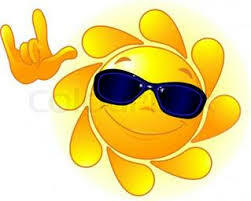 I like being out in the sun. I like eating too after a hard workout. Food taste better when you work for it. It is the same concept as fasting and pigging out…hehe. Running allows me to control pain and I like to see how far I can tolerate them. In between training, my wife and I will take a short trip to Manila to visit family. I will definitely enjoy every moment of my summer. I hope you have a good summer too. Last week I met with Dr., J, hepatologist (doctor of the liver) to consult about the cause of my ascites. Although, it is no longer bothering me I still want to find out what cause them. He the most common cause is disorder of the liver, but it can also be the heart. A SAAG test can definitely determine the cause but requires a sampling of the ascetic fluid. Since my stomach is no longer distended a sample cannot be taken for the moment. Should it come back, he recommends performing the SAAG test.